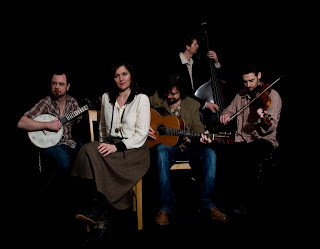 The 'neo-old-time' band I Draw Slow (shown in the above photo), based in Dublin, Ireland, has just joined the artist roster of the prominent US bluegrass label Pinecastle Records - the second Irish act to do so, following the lead of singer/songwriter, bandleader, and broadcaster Niall Toner. I Draw Slow state on their Twitter page: 'We are very very excited! '.